The offices of the Consulate General in New York are located in Manhattan’s Midtown. Midtown is known as a center of the corporate and media world, providing space for several companies’ headquarters, different countries’ representations as well as cultural institutions. The area is also famous for its skyscrapers such as the Empire State Building and the Chrysler Building. The Consulate General and Permanent Mission of Finland to the UN moved to a shared space in the summer 2018. Inspired by Finland’s culture, technology, know-how, nature and Finnish values such as authenticity, equality and integrity, the new offices offer a comfortable and stately space to both missions. The offices are divided into three sectors that represent the arid beauty of the Finnish winter, Finland’s innumerable lakes, as well as the world’s purest drinking water and summertime forest landscapes. The office’s flexible meeting rooms enable the realization of various projects and events, while the lounge area offers space for temporary exhibitions. The office was created by the architect and chief designer Sami Kytökorpi (Tähti-Set Oy) and the interior designer Marko Nenonen (Protest Design). Ever since 1965, the official residence of the Consul General in New York has been located in Manhattan’s Upper East Side. The apartment situated on the 11th floor offers a gorgeous view west over Central Park. The stately official residence facilitates networking with the busy New York influencers. Every year, it serves as the location for dozens of receptions, lunches and dinners. Over the years, its guests have included many significant public figures, from political decision makers to directors of cultural institutions, finance influencers, corporate magnates and media representatives. 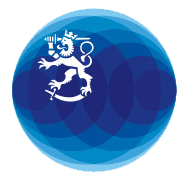 Several Finnish companies have used the official residence in their export projects and internationalization efforts, benefiting from the ambiance-rich events hosted in the residence. The companies have been able to invite their American contacts to the space that serves, at the same time, as an impressive showroom for Finnish design, art and culinary know-how. The works of art that can be seen in the official residence have been lent to it by Kiasma’s Museum of Modern Art. If the company or community that you represent is interested in cooperating with us or using the potential offered by our spaces, please contact the Consulate General. All collaboration is examined and accepted case by case, depending on the resources available to the Consulate General at a given time.